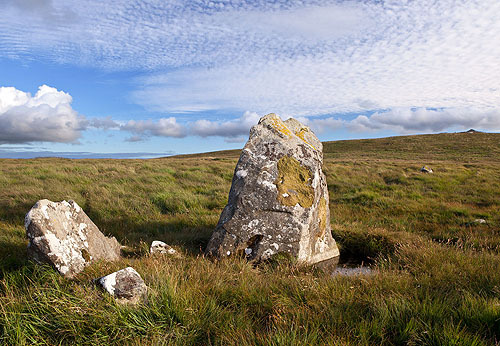 The large stone is 2m high x 1.9m x 1m in width , the 2nd small stone ( in the pic ) - towards Foel Eyr , the 3rd - other small stone in the foreground of this pic. The other taller stone may be a displaced stone from the row ? This site has also been classed as a double standing stone.